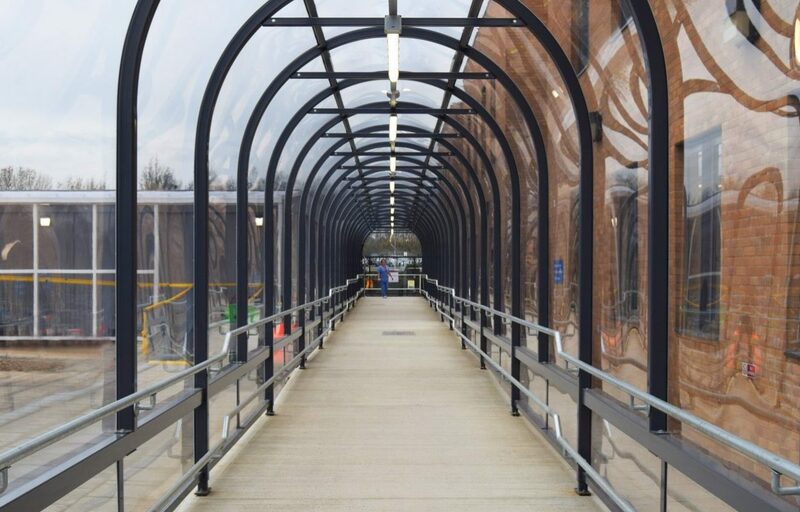 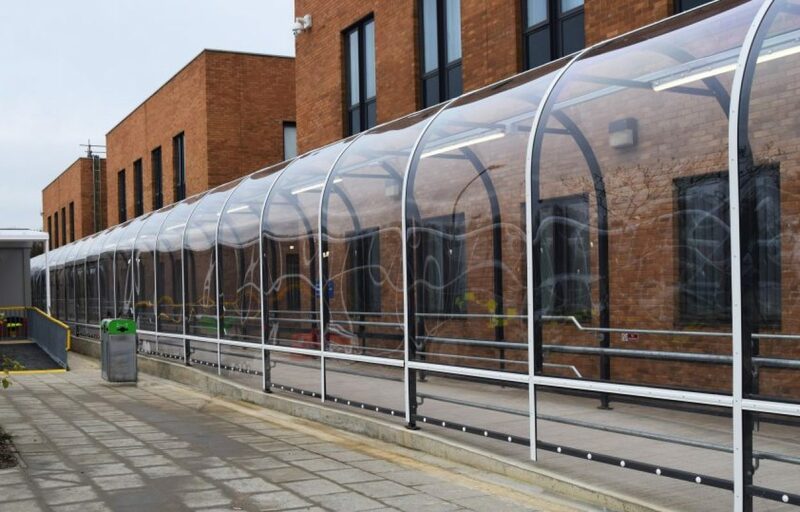 Fordingbridge were approached by one of the leading modular build companies in the UK to design, manufacture and install a 65 metre link walkway between the existing hospital and the new patient discharge unit. 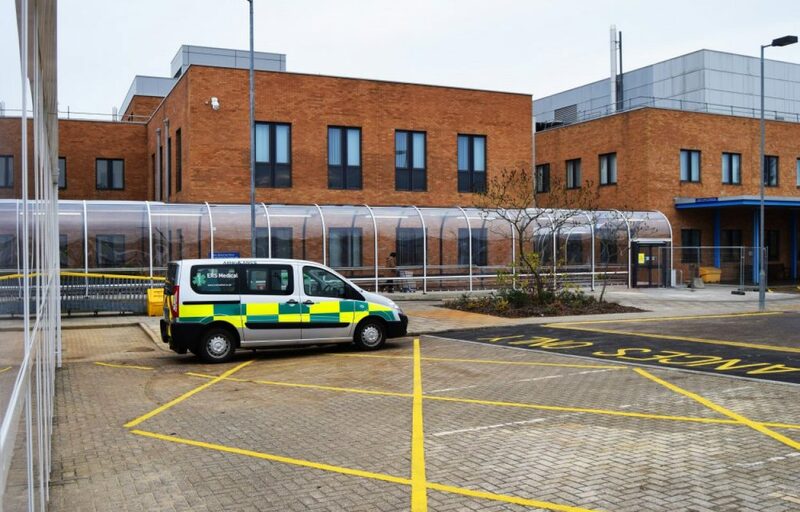 We worked closely with the NHS trust as well as the architects and various contractors on site to ensure the build was completed on time. 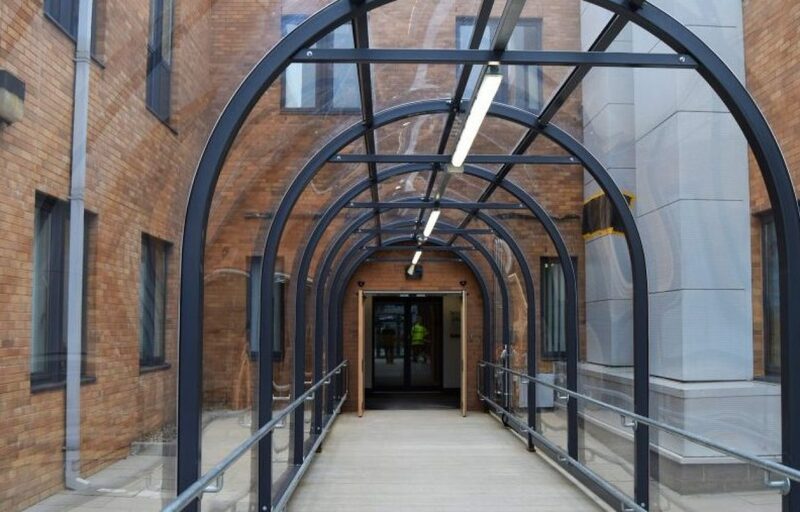 Frame: Polyester powder coated steel frame to match surrounding buildings. 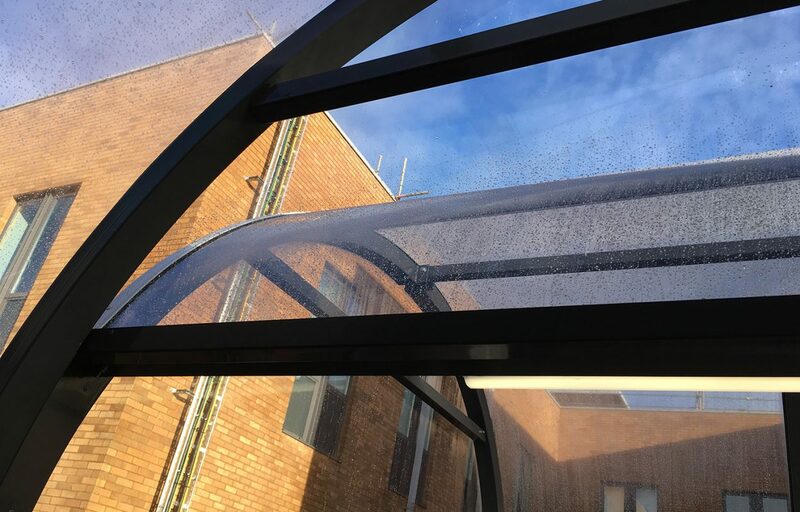 Roof: Hard-wearing, 4mm solid transparent polycarbonate.